If you live in a condo, townhome or apartment and enjoy coming home to a professionally cleaned environment, contact the team at Mango Maids. We have experience working with apartment properties to, working with both developers and individual unit owners. Contact us today for a cleaning estimate, we provide one-time cleaning services and ongoing maid services to keep your place looking spotless. Living in an apartment offers a very convenient and often fast paced lifestyle. Don’t let your busy life force your apartment into a state of complete mess. Utilize professional apartment cleaning services to keep your apartment space clean without affecting your busy schedule. Cleaning your apartment can pose a large task for any size of apartment space. Without proper knowledge and equipment cleaning your apartment can be more intensive and less effective then the process should be. To get a stress-free and complete apartment clean every time, trust your apartment cleaning need to an experienced professional. The apartment-cleaning experts at Mango Maids can work to completely cleans each aspect of your apartment space. We have the professional and eco-friendly approach that is ideal for cleaning apartments of any size, and or design. Call or email Mango Maids to with your apartment cleaning needs today! The professional apartment cleaning contractors at Mango Maids have the eco-friendly and ultimately professional approach to apartment cleaning that can leave your unit absolutely spotless. Our team works around your schedule to make sure your apartment cleaning needs are met without interfering with your busy life. Mango Maids can completely clean and sanitize your dirty apartment. If you have any question regarding the benefits and or other aspects of professional apartment cleaning services, contact Mango Maids today! Appliances in your apartment can become dirty and or unsanitary from usage, spills and much more. Microwaves, washers and dryers, fridges and so many other apartment appliances can become completely unsanitary through a range of potential contaminants. Dirty appliances can become unpleasant and even unsafe to use. Let the professional cleaners at Mango Maids return your apartment appliances to a pristine and safe condition. Contact Mango Maids today with your apartment appliance cleaning needs! Dirty carpets and rugs in your apartments can become breeding grounds for various bacteria, specks of dust and more. Don’t let your rugs turn from being welcoming areas and aesthetically pleasing aspects of your apartment to unpleasant, ugly and potentially unsafe areas of your living space. 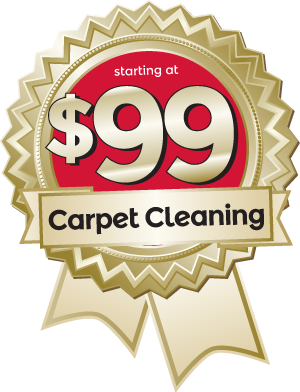 If you have noticed or are concerned about potential carpet spills, stains or other contaminants in your carpet utilize professional apartment carpet cleaning services. The team at Mango Maids is here to provide top quality carpet cleaning services to your apartment carpet. Moving in and or out of your apartment space is a large job. You don’t need to add a full clean of the apartment space to your list of relative to-dos. Utilize professional move-in and or move-out apartment cleaning services to clean your new or past apartments space, so you can focus on the move at hand. The team at Mango Maids id here to provide move in and or out apartment cleaning services that meet your personal needs and schedule. Different apartment sizes, styles, and relative levels of mess can require completely different and or varying styles of apartment cleaning services. At Mango Maids, we make sure that your apartment cleaning services will perfectly suit your needs and apartment space, by providing apartment cleaning consultations. A Mango Maids professional can come to your apartment to inspect the area and discover the required services to professional clean your apartment space. Call or email Mango Maids today to set up an apartment cleaning consultation!